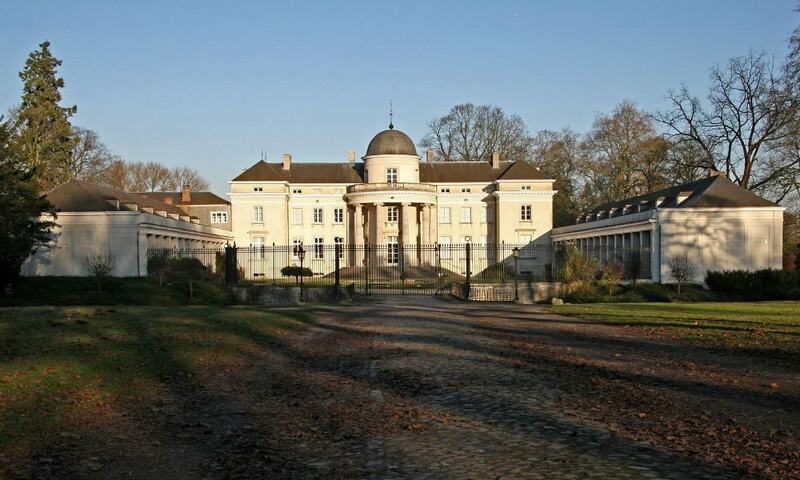 Duras Castle was built between 1787 and 1789 in the Classical style and is located in a beautiful area. The castle was erected on the location of the original castle of the Counts of Duras, which dates from around 1100. The castle grounds cover an area of more than 100 ha, consisting of woods, meadows, fields and orchards. It also includes a watermill and a farm. The castle is now a protected monument.